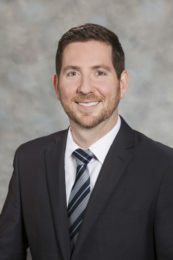 Chad Rubin is an Associate in Dean Mead’s Immigration Law practice group. He focuses his practice on helping foreign nationals, investors, and multinational corporations through their complex immigration matters. Mr. Rubin assists a wide variety of clients in all aspects of corporate immigration, including nonimmigrant visa (H-1B, H-2B, L-1, E-2, O-1, P-1, etc. ), permanent residency applications (PERM, EB-1, 2, & 3, etc. ), Department of Labor Compliance and I-9 Review. Mr. Rubin has extensive experience drafting legal briefs and memoranda, including complex responses to Request for Evidence. In addition to the corporate practice, Mr. Rubin assists families and individuals with family-based visa petitions, Green Card, Asylum, Naturalization and Waiver Applications, as well as guiding foreign nationals through Consular Processing of their Immigrant Visa Applications. Prior to joining Dean Mead, Mr. Rubin practiced law at Catherine R. Henin-Clark, P.A. in Winter Park, Florida, as well as with a boutique business immigration law firm in New York City. There he worked primarily on extraordinary ability and business visas. He also interned with the Department of Homeland Security, Immigration and Customs Enforcement after his first year of law school. It was during that time he became passionate about working in the area of immigration law and assisting foreign nationals who are seeking to work, live, or invest in the United States.